Family tree of Charlie Cooke, aka Chief TIQ SLO'W, compiled by Mary Louise Contini Gordon, author of "TIQ SLO'W: The Making of a Modern Day Chief" (Tucson, Ariz: Amethyst Moon Publishing 2013). Sources: 1) Cooke family documents and oral history, 2) Interviews and documents from non-family sources. 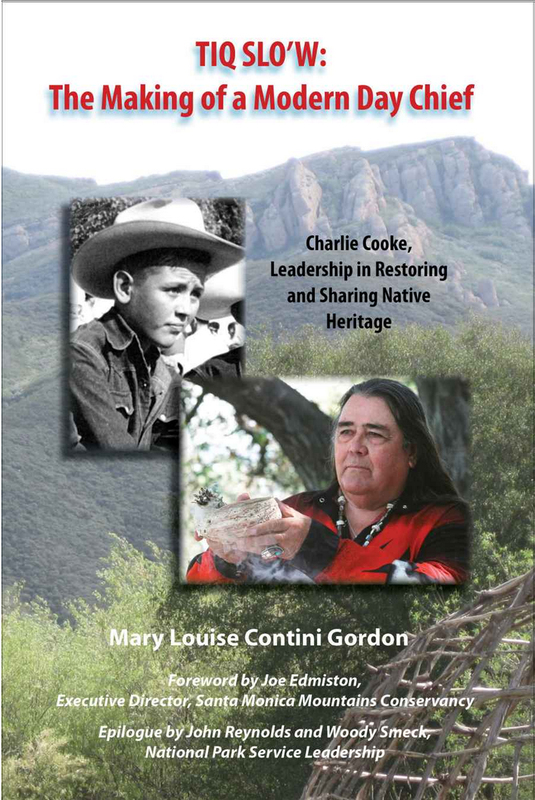 The sources sometimes differ, especially in regard to Charlie Cooke's Chumash ancestry and his hereditary chief line. In such cases, family history takes precedence on this chart, summarizing information the family gathered over decades. Numbers are California Indian Enrollment numbers. (2014) Gordon adds that she has verified information regarding tribes with the curator of the San Fernando Mission (discussions and review of records). Note: Subsequent to publication, Ernest Cooke (b. June 17, 1919; d. Jan. 3, 1982) has been added as a son of Fred Cooke and Frances Garcia Cooke. 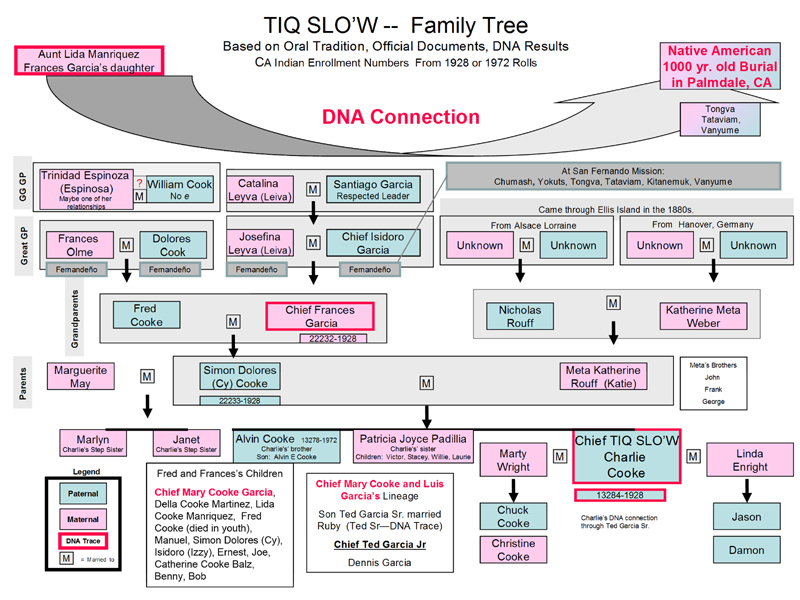 "TIQ SLO'W" is the ethnographic biography of a Native American Chief, Charlie Cooke, a man who by many counts could not exist. But here Charlie Cooke is: a cowboy, a ranch hand, a rodeo champ, a Korean War veteran, a regular husband and father, and a truck driver. This is a story of ironies, of a man whose ancestral lands were taken and, in some cases, ravaged, of a man whose culture was almost obliterated. It is the story of this very same man who worked tirelessly to preserve these ancestral lands for posterity, for Cooke's descendants and those of the very people who took lands from his forbearers. TIQ SLO'W, the name by which many know Charlie Cooke, tells of leadership among other Native Americans, anthropologists, civic leaders, State Parks, and National Parks. The leadership and historic perspectives intertwine. Charlie Cooke's style was one of influence. With no positions of note or actual authority in many of the situations in which he found himself, Cooke was and is highly effective and much admired. The story takes place along the mountainous Southern California coastline and the serene Channel Islands not too far off the coast. Today this area glitters with the wealthy, the movie stars, the tanned beach crowd, and the daring surfers slapping the world-renowned Malibu waves. They, too, enter the story. Dr. Mary Contini Gordon cross-walks between the analytical and the creative. Her background makes her a bona fide researcher and an engaging writer. Mary has written stories, plays, and poems since childhood usually for private audiences, but with Charlie Cooke's book, as she calls it, Mary has stepped out into the public sector. Mary Louise Contini Gordon, Ed.D., holds advanced degrees in theater, TV production, and educational psychology. For a time she produced and developed educational media and hosted a local TV talk show in Thousand Oaks, California. 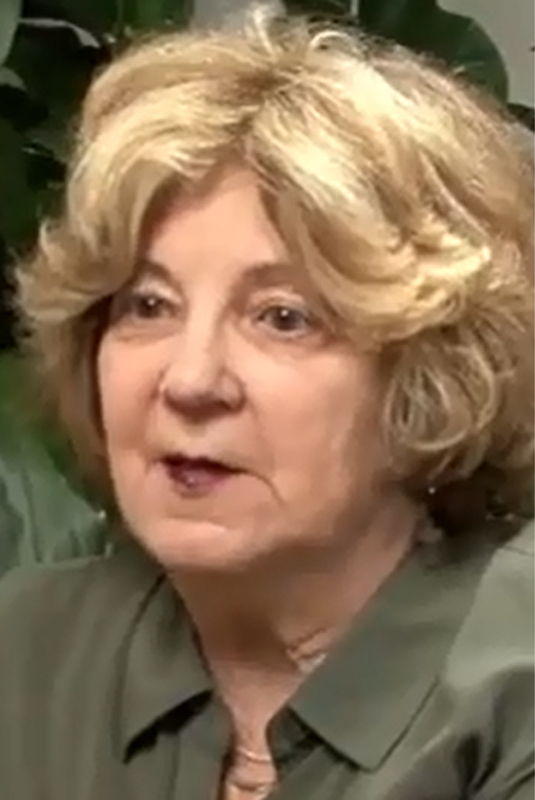 Dr. Gordon encountered Charlie Cooke as a guest on one of her shows. Not long after, she became the executive director of the Hughes Institute for Professional Development, overseeing executive education. Around the same time, she volunteered at a National Park site where Charlie Cooke was a central figure. Mary Gordon observed him in action and was struck by his effective leadership style. She thought to herself then that she would write about him one day. Dr. Gordon had managed large ethnographic research projects for major corporations, including a book on business anthropology. So she took in stride that Charlie Cooke's book required acquiring, managing, and analyzing massive amounts of narrative data, always with the goals of not losing the spirit that is TIQ SLO'W and immersing the reader in varied scenes across decades and causes. In addition to writing, Dr. Gordon enjoys nature trips with the families of her four children, Greg, Dan, Sara, and Rebecca, who beckon from their homes in different places across North America. LW2637: 19200 dpi jpeg from Powerpoint file by Mary Gordon | Original Powerpoint document on file.